I receive updates from another food blog via Facebook called Smitten Kitchen. 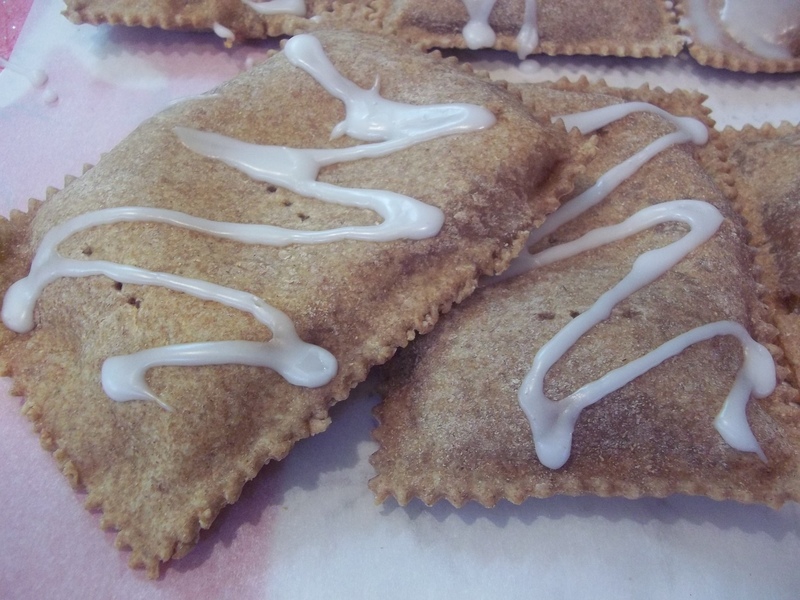 Their recipe last spring for Homemade Pop Tarts caught my eye. I had to try to make my own using whole wheat flour and fresh fruit for a healthier version. My boys don’t get Pop Tarts except on special occasions like road trips and such. It was the same for me as a kid and I don’t think I had them until I was an adult. My parents were pretty concerned about not letting junk food in the house, at least not as food that we were using for “fuel”. It was annoying to have a meatloaf sandwich (with mayo.– my baby boomer immigrant mom’s idea of health food) in my lunch box while other kids had peanut butter and jelly or bologna sandwiches. There were no juice packs for us or fake made to taste like orange juicy liquids full of sugar and artificial color, oh no. And I am so grateful now that I am an adult that we always ate whole foods from our family kitchen. We were very healthy and strong kids and continue to be healthy strong adults I’m sure as a direct result of my mother’s refusal to pump us full of sugar and artificial color during our growing years and Dad’s insistence that we take our vitamin supplements every day. Like my parents, I try to keep healthy foods on hand for my kids to eat and save others for fun times. Very rarely do I buy anything processed or prepackaged. We do eat far too much take-out pizza on our Fun Family Friday Nights, however, something all four of us simply adore! Right now I am dealing with a problem of my own creation and am trying to decide how to fix it. For years my boys have had a Reward Box or a Treasure Chest to pick from at the end of the week if they’ve done all of their chores and finished their lessons diligently. I say “diligently” because if I have to tell them something five or six times and they still have trouble focusing on the task on their own to get it done I don’t consider that responsible behavior. I am trying to teach them to take on a job themselves and get it done because it is the right thing to do, first of all, secondly, I want them to understand how rewarding it is to accomplish a task, and thirdly, they are learning that the better they put their mind to something and the faster they finish the job, the sooner they will be free of it and able to go on to what they want to do. I live my life by number three– trudge through the yucky stuff quickly to get it over with. My life, like everyone elses I’m sure, is full of little tiresome things to get through each day. Well I don’t think a week has gone by that my boys haven’t been able to pick a reward. They are kids. They have days when they just can’t focus, they have days when they just don’t want to do everything and so do I. I choose to look at the big picture and all they have accomplished in a week and know it’s enough to earn a reward. Still, they wait with anticipation for me tell them at the end of every Friday that they can go pick a reward. I always inwardly snicker to myself as I see them waiting patiently (they know better than to ask) for me to tell them it’s time. The rewards range from the mundane to the extraordinary. This year I ended up putting a lot more in than I had realized that say things like, “Choose a package of Jello on the next grocery shopping trip” or “Choose a candy from the check-out aisle at the grocery store”. These are things I almost always say no to when they accompany me to the store. Others reward cards say things like, “Computer games on a school day” or “Stay up half an hour late on a school night”. My younger son, however, has a knack for randomly choosing the rewards that are for junk foods from the store. I watch him draw from our “Treasure Chest” and he doesn’t cheat, but there he goes, to his delight, ending up with a real treat that I’d rather him not have, even though I’m the one who made the silly things. They get a big kick out that. And now I’m trying to decide how wicked I want to be. Is it fair at this point for me to sneak in after they’ve gone to bed one evening and weed out some of the junk food rewards or do I just let them have them when I’m so strict about what we buy the rest of the time? I think I will just leave it alone and make them stir the bin up really well each week before they choose and maybe add a lot of other rewards to “dilute” the treat cards. Well wouldn’t you know it? The week I had planned to post my version of healthy “Pop Tarts”, my little boy chose a reward that said, “Pop Tarts next grocery trip”. The irony… And another, I wouldn’t actually put them in the toaster, they were so moist, so they are not really “toaster pastries” but we did enjoy them for dessert as little pies. 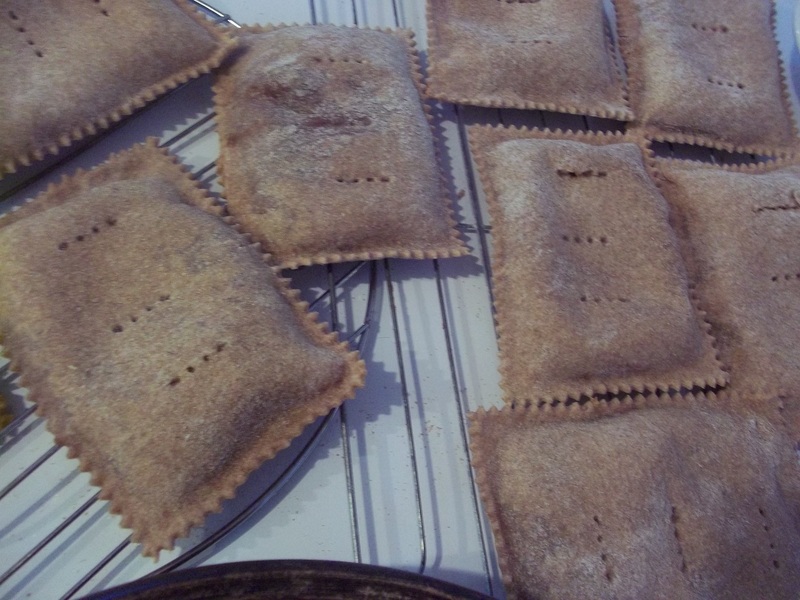 I still had trouble, with the amount of sugar in them, allowing the boys to eat them for breakfast and honestly they would have tasted much better if I had used white flour, but that would have defeated the purpose of making them to begin with. Almost a cup of ice cold water. Combine all of the filling ingredients but the water and cornstarch in a medium saucepan. 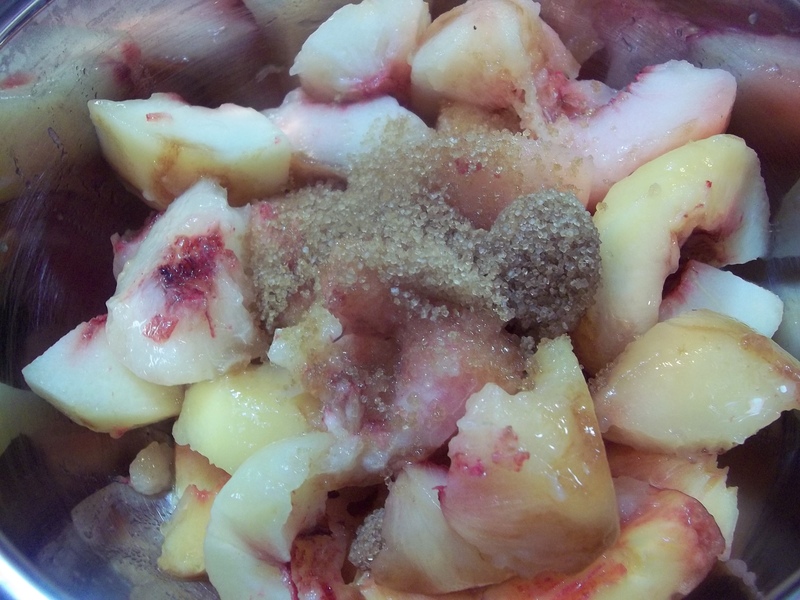 Cook until fruit is softened and and sugar and fruit juices turn syrupy. Combine the water and cornstarch. Add to the fruit mixture and bring to a boil. 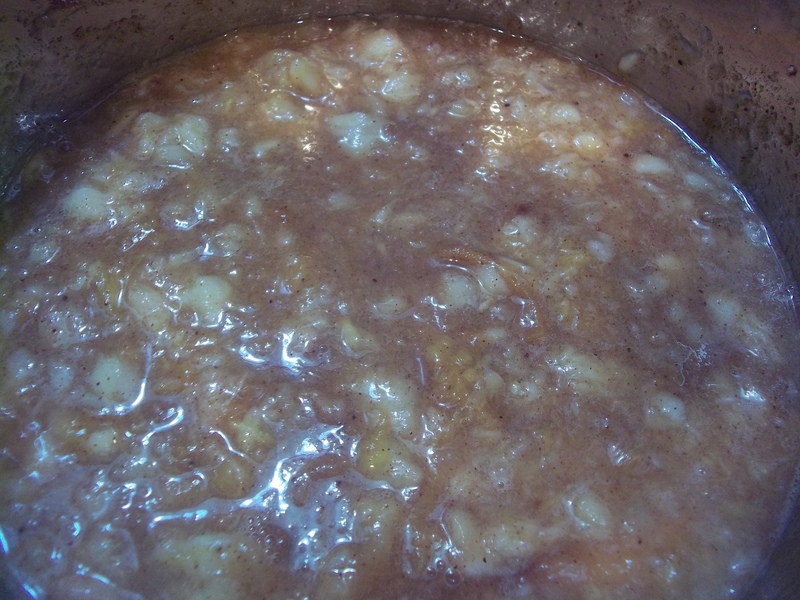 Stir and cook until thickened, reducing the heat. Mix together the flour and salt. Cut in the butter until the mixture is crumbly. Mix in a little water at a time until a dough is formed. Cut the dough into two portions. Chill. 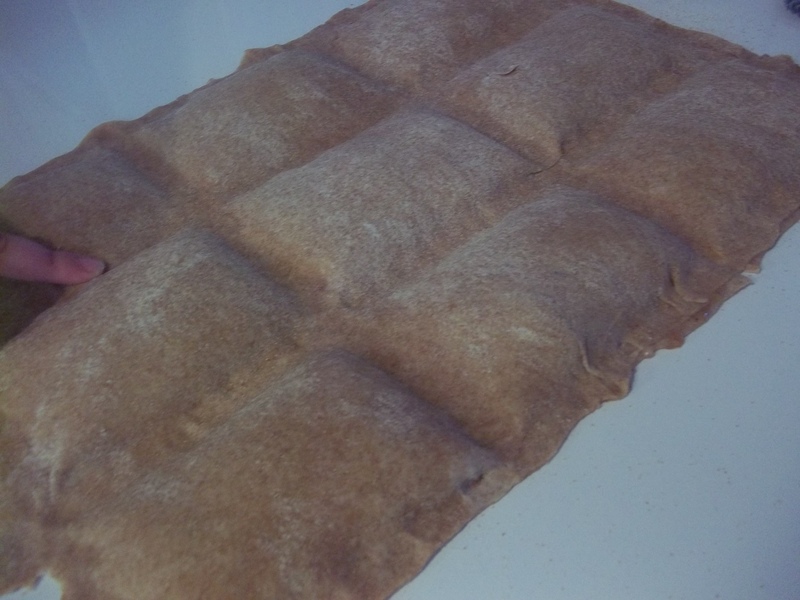 Roll the dough on a floured surface using one portion at a time, into a rectangle approximately 1/8″ thick. Cut the edges to make them square. 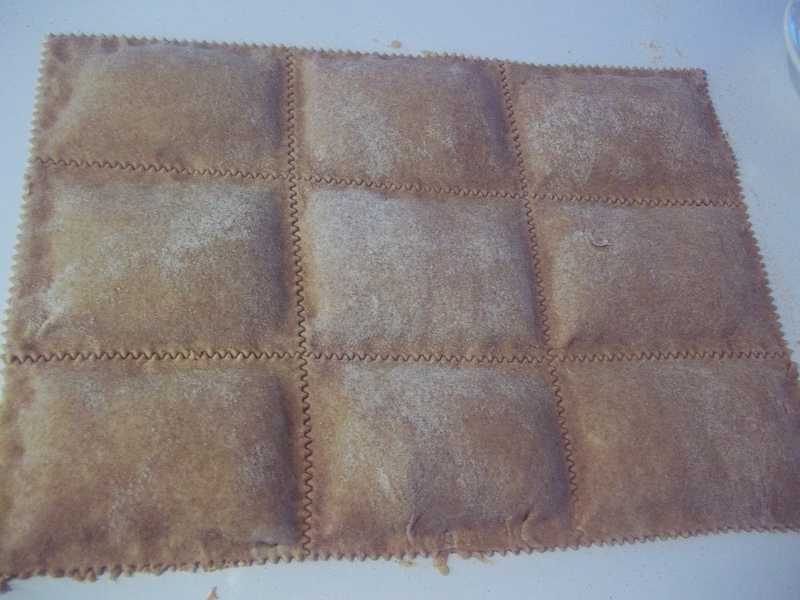 Use the back of knife to make a grid pattern, each rectangle will be an individual t0aster pastry. Repeat with the second half of the dough but you do not need to score it. Drop 2 T of filling in the center of each scored rectangle. 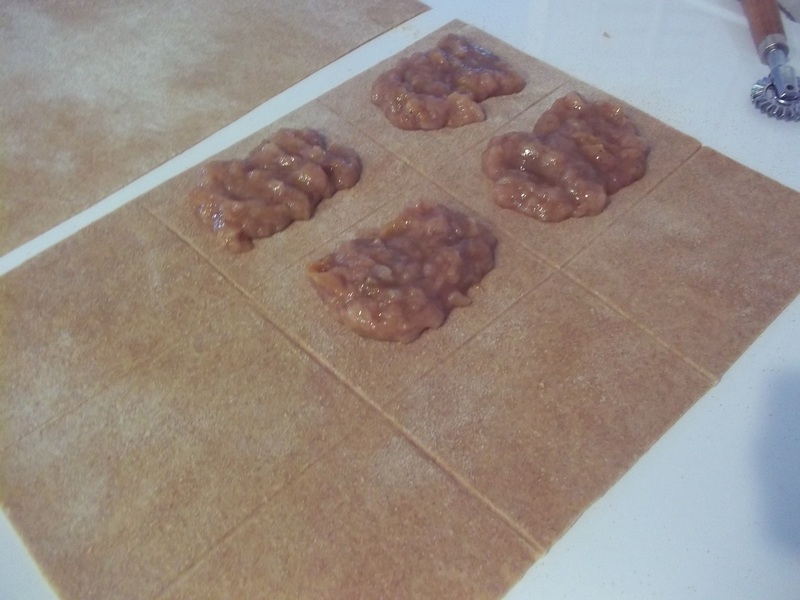 Moisten the grid lines of the dough with water. Lay the second sheet of dough over the first sheet that contains the filling. 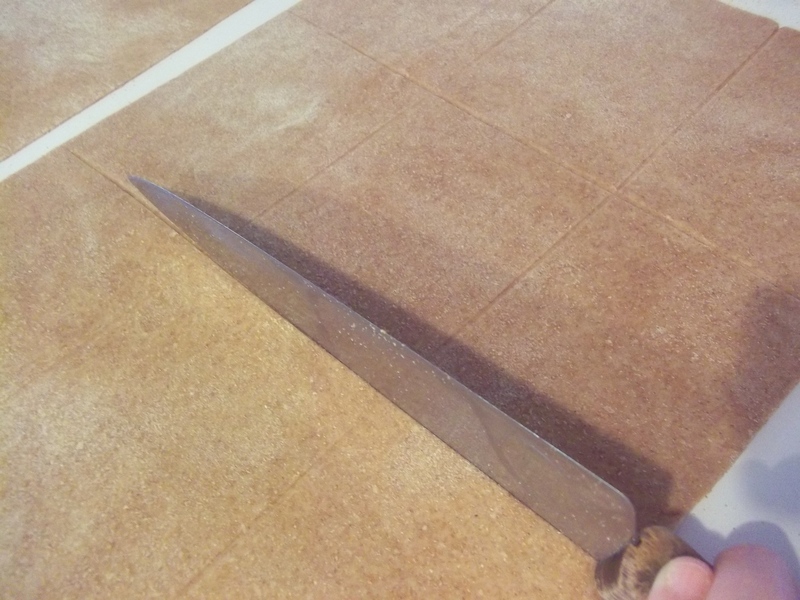 Pinch to seal the edges between filling and the edges of the dough. 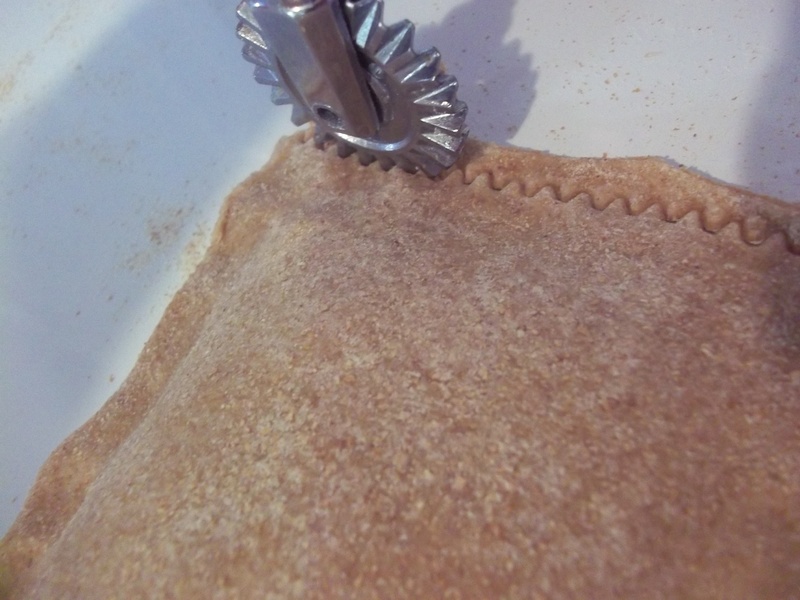 Use a pastry wheel to cut out the pastries. Lay them on a sheet of parchment paper. Prick the surface of the pastries to allow steam to escape during baking. Allow to cool. 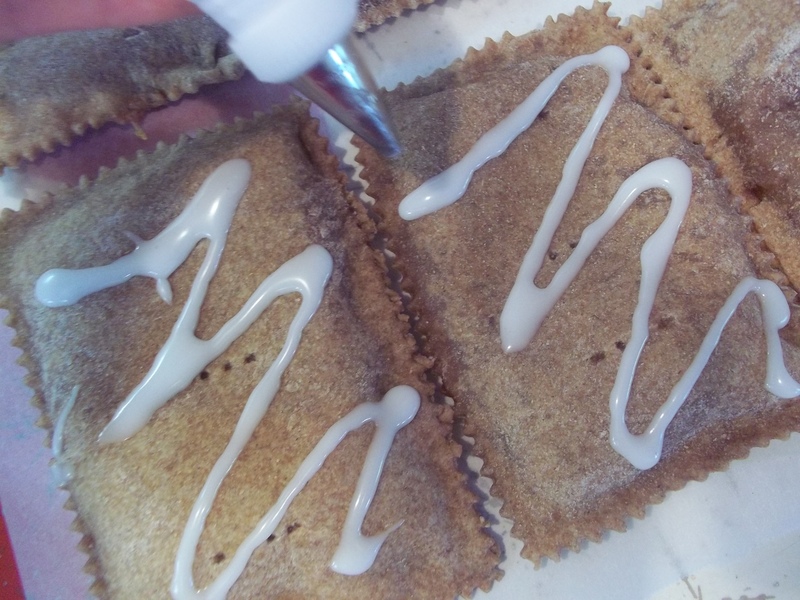 Mix together confectioner’s sugar and enough water or milk to make a thick icing. Scoop into a piping back with a round writing tip and pipe on icing squiggles to each pastry.